I have been lusting after a full skirted shirt dress for a while now. Funny how last year i was really into tight tight pencil skirts and pedal pushers. 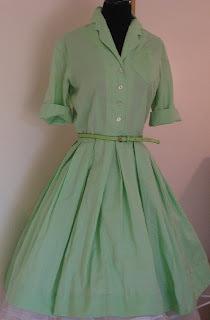 I find full skirts so comfy and when they are pulled in tight round the waist give a really classic 50s silhouette. Here are a few i have found on Etsy. 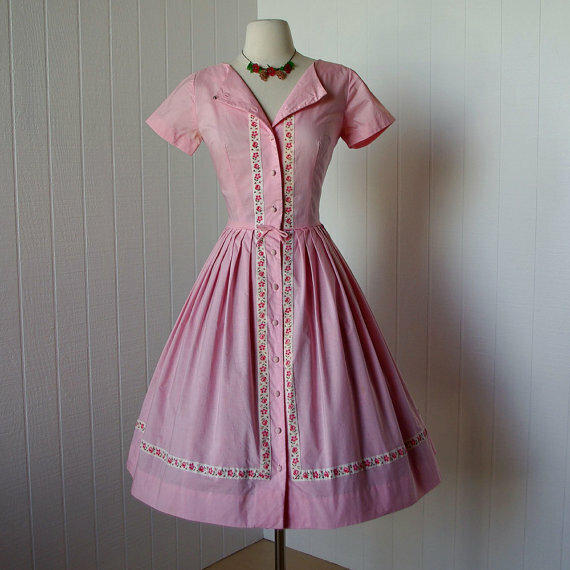 As a seamstress, i have decided to make my own from a vintage patter. Here are a few patterns i found on Etsy. This is the pattern i bough. I got it off ebay in the end for £8. 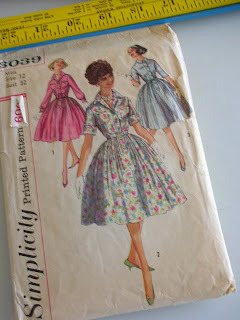 I like it because there are three bodice types, all of which i love and will make. 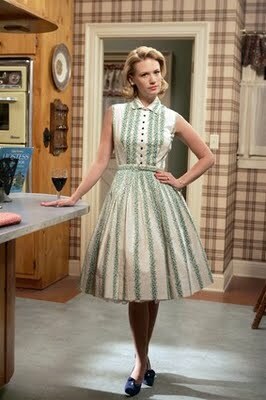 I love the shirt dresses in Mad Men, I've been wanting to make one myself for a while. I look forward to seeing how yours turns out, I'm sure you'll inspire me into action! Brand new to your blog, but I wanted to echo your love of the classic shirt dress. 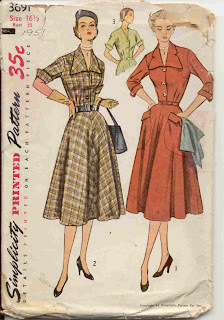 I make a lot of them for myself using one of my grandma's old patterns. The silhouette is perfect for absolutely any occasion, and fabric choice can decide whether or not the dress will be day wear or evening wear, seasonal or year-round. I love it. I really do believe that it's one of the most versatile looks that a woman can wear! I will definitely be following your wonderful blog! 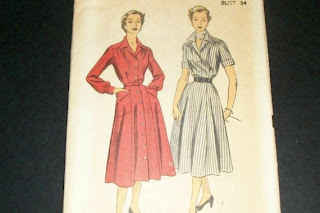 i started to make my shirt dress last night, first time i have made a fitted shirt of any kind, quite interested to see what the fit is like as the sleeves are part of the bodice, the top is basicly just made up of one piece, back and two sides.